The tech giants continue to dominate the market, so there’s no doubt that the CEOs and Founders of those tech giants will dominate too and of course, as becoming the world’s richest personalities as well. “Tech is an area that should be more immune from regulation and politics than many others. And it is benefiting from genuine shifts in the economy,” said James Wang, whose firm runs the ARK Web X.0 ETF, which has big stakes in Amazon and Facebook, as well as tech leaders Netflix and China’s Alibaba, reported CNN. The expansion of the Amazon into India, its major investments in India to take a lead in the market and fight the battle, is happening at a price—losses from its international business came in at $481 million, reported Mint. Amazon has already spent at least $2 billion, according to regulatory filings and vowed to spend $3 billion more to make it a total sum of at least 5 billion dollars. After losing the battle in China against Alibaba, Amazon has got its plans big focusing at the Indian market (while experimenting in the US), and the Prime membership plans are doing well in the country. India, definitely, serves tremendous opportunities for Amazon to not only grow but evolve with the market while tackling the biggest rival, Flipkart, which also owns Jabong and Myntra, the two major Fashion e-tailers in the country. We’re grateful that customers are responding—Amazon.in is the most visited and the fastest growing marketplace in India. It’s still Day 1 for E-commerce in India, and I assure you that we will keep investing in technology and infrastructure while working hard to invent on behalf of our customers and small and medium businesses in India, said Jeff Bezos. This one statement tells a lot about the rays of vision that go through the brain behind the Amazon, its CEO Jeff Bezos and the room to evolve in this space will only get bigger with time. Yesterday, the news hit that Jeff Bezos is some mere “$7 Billion” behind the world’s richest person, Bill Gates, and sooner can take over the title. Bezos, reportedly, stands at net worth of $80.5 billion, raising around $2 billion on Friday after Amazon reported strong earnings and sales, and its stock gained 2%. While on the other side, Gates stands tall at net worth of $87.2 billion. 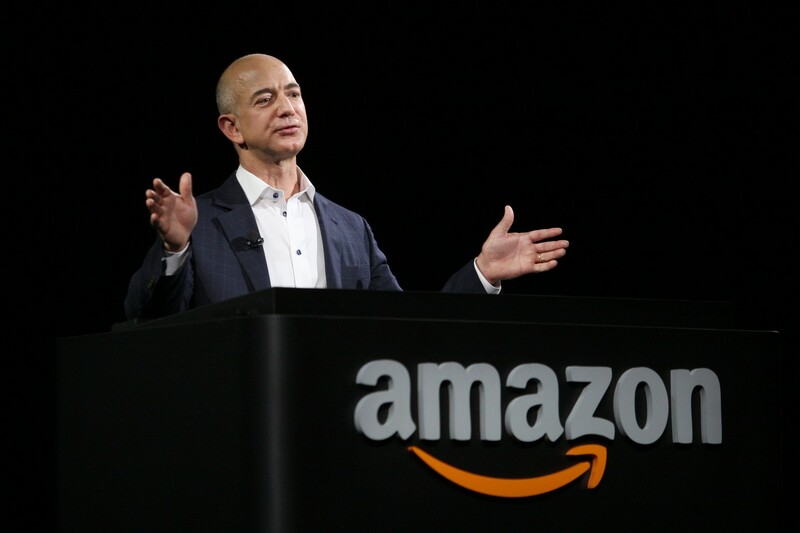 Jeff Bezos has already surpassed who’s who belonging to the billion dollar club, to name one, Warren Buffet, and is now slightly away from Spanish retail magnate Amancio Ortega, whose Inditex firm owns the Zara fashion outlets, who is at a net worth of $81 billion. Bezos currently holds the 3rd spot in the rankings. This year only, Mark Zuckerberg’s net worth has been pushed up to $62.6 billion. Google founders, Larry Page and Sergey Brin are the 11th and 12th richest people in the world, with their fortunes pegged at $44.7 billion and $43.7 billion, respectively. These are the signs of the times that hold a new batch of the world’s richest personalities, putting the Amazon at front. As Bezos said, it’s still day 1 for Indian e-commerce market, no doubt, the day 2 holds much more for the Amazon and of course, Jeff Bezos, and now, the only wait is of day 2! And why not, when according to analytics firms comScore and SimilarWeb, Amazon.in is the fastest growing marketplace in India and the most visited site on both desktop and mobile. For the glimpse, look at the broader picture, Amazon has started showing the signs to disrupt the retail industry too, eventually, the wealth of Jeff Bezos will keep getting substantial (still is), so will Amazon! Should we already move over Bill Gates? Now, you have your answers!